Industrial IoT Gateway Equips with high performance NXP i.MX6 Application Processor. The Intelligent Gateway platforms built with extremely reliable hardware that was efficient and easy to integrate with back-end operating systems. The dual Megabit Ethernet with 802.3af (POE Power over Ethernet) option makes it perfect for Industrial Remote Monitoring & Control based Applications. The Intelligent IoT gateway has the provission to connect 4-20 mA sensors or Modbus based sensors which take reading every interval of time. The respective data will be send to the cloud based on the scheduled time. The Powerful iMX processor makes the network more robust and resilient to failures. The IoT Gateway can be configured as a data logging, repeater or manager node. This state of the art product combines the latest in low power Technology and computing, allowing for a quick deployment of massive-scale, distributed sensor networks for measurement and control. It incorporates a highly-configurable system-on-module, the i.MX 6UltraLite is a high performance, ultra-efficient processor family featuring an advanced implementation of a single Arm Cortex-A7 core, which operates at speeds up to 696 MHz. It interfaces any digital or analog sensor with its unique array of configurable system blocks allowing for signal acquisition and processing, enabling monitoring and control with high accuracy, high bandwidth, and high flexibility.The i.MX 6UltraLite applications processor includes an integrated power management module that reduces the complexity of external power supply and simplifies power sequencing. 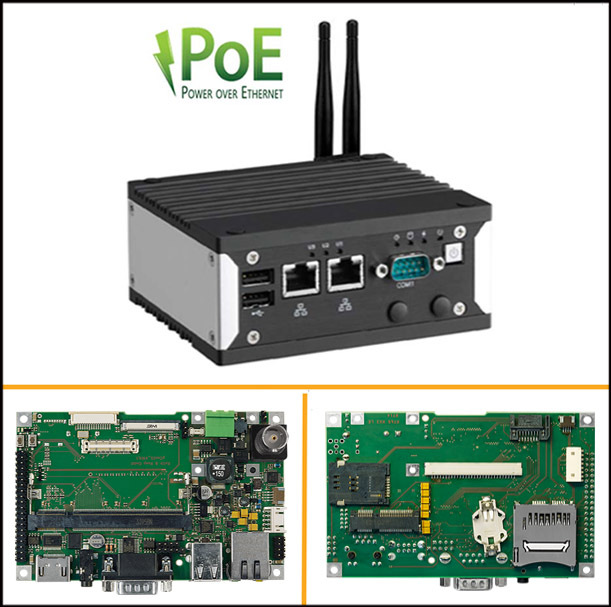 Note: The Gateway having optional POE (Power Over Ethernet),4G,NB-IOT, Wi-Fi/BLE & CAN. Our gateway designs have been used to create bidirectional data transfer between end devices and Cloud platforms like Amazon AWS, Google AppEngine, Microsoft Azure, IBM BlueMix or proprietary PHP/MongoDB based custom servers, you benefit from the rapid development of graphical programming for your entire solution. We also have worked with higher protocols like HTTP,MQTT,FTP,etcThe configuration of the device is carried out via Web pages and it is possible to remotely update the firmware.The Web server support allows access via browser to the server application from both fixed (desktop) and mobile (smartphone or tablet) devices.